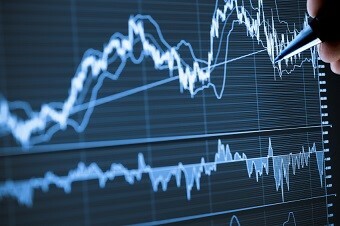 Despite the weak expansion exhibited by the national economy, Canadian assets are providing investors with the healthiest returns they’ve seen in years, according to a Financial Post report. Citing Bloomberg, the article reports that combined gains of the loonie and total returns from Canadian equities and bonds reached 26% this year up to Aug. 19. Equities led in gains, boasting the second-highest return among 24 developed markets; the loonie followed, earning the honor of third-best performer among Group-of-10 countries. The asset surge is playing out against a grim background: the two-year pace of GDP growth has been the slowest outside of a recession in at least 60 years. The economy probably contracted 1.4% in the second quarter, its trade deficit reached record levels, and the job market contracted last month. Certain industry-specific numbers are also discouraging. The 2015 collapse in oil prices drained activity – prices are recovering, but some see it as just an unstable reversion to the mean. Meanwhile, manufacturing remains tepid, and fears of an overheated real estate market still hang in the air. All these don’t seem to be registering on domestic and foreign investors, who are apparently focused on the bigger, more immediate picture: the global outlook remains weak or unsteady in Europe, Asia, and the US, and low interest rates persist due to loose central bank policy. This mentality has allowed the S&P/TSX Composite Index to post a total return of 15% this year, which may lead to its best year since 2009. When one takes the 7.6% advance of the loonie into consideration, government bonds have yielded 12%, based on data compiled by Bloomberg.